This level has hard difficulty and you need good strategy to make two colorbomb and other orders. For this level first try to play near to center grills and as you will break them you will have more candies to play. Then try to make colorbomb and take near to other colorbomb that is already you get with this level. 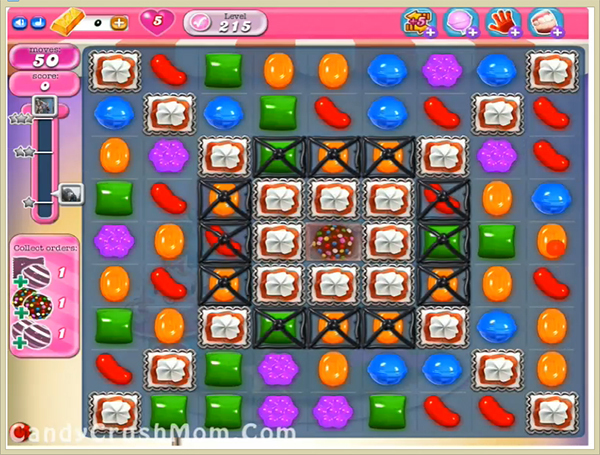 Then play from bottom to get more chance to make other special candies that will help to get other orders. We completed this level with 141940 score using same trick that we posted above plus got three star score at the end of this level. I would love to watch the walkthrough however you move way to fast. Please sliw down. Thank you.